Toe Jam was a famous Alternative/Punk Opera group of the 1790's. Toe Jam was one of the Founding Fathers of Alternative/Punk Opera. Their "new" style of music created many new roadies. Toe Jam started as Mother Loves My Bone. In 1790, Andrew Wood, Toe Jam's first vocalist, died from Gangrene. 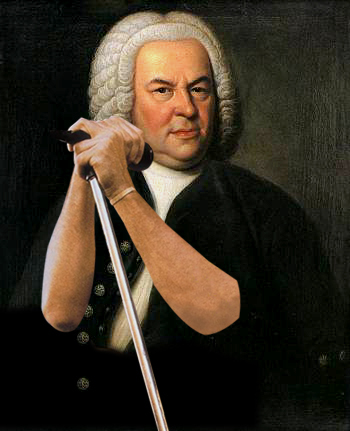 Their music sounded really weird, so they decided they needed another singer, so they hired Johann "Seattle" Bach. When they went into the studio to recorded their first album, the drummer, Dave Krusen, had to go to the bathroom. They only had the studio for a short time, so they had to borrow ZenGarden's drummer, Matt Cameron. They liked him, so, as any good friend would do who borrows an object of any value, they didn't return him. As it turns out, the ZenGarden was a breeding ground for Athlete's Foot, and Matt's toes turned itchy and later turned yellow. They decided they needed to rename the band to Toe Jam. After a few weeks, the original drummer was witnessed coming out of the bathroom. Dave Krusen was reported saying "Do *NOT* go in there!" The band no longer needed Matt. Later the band realized that Dave Krusen had stage fright, and had to take a number 2 before every concert. They canned his arse and hired Matt again. This was a good thing, because they needed someone with Toe Jam to take pictures of for their albums. Animals Don't have Jam, Why do I? This page was last edited on 13 March 2012, at 00:23.